Someone Has to Be the Adult Here!! Within the realm of psychology, there is a theory of how people function and a therapy technique called Transactional Analysis. TA espouses that our personality is made up of three “Ego States” or what I call, inner voices. (Yes, to all those psychology majors, I am over simplifying here). Those “voices” are called Child, Parent and Adult. The Child part of our personality or inner voice, is the one that can be quite selfish, is carefree, spontaneous, and wants to have fun. The Parent voice is the one that may be the critical voice, ” I could have done that better. I messed up. I’m not good enough. I should work harder. ” The adult voice is the voice of reason. It is the wise voice, the one we might use when advising our own chidlren. It is the most logical and thoughtful voice. This s the voice that is most helpful in our lives, helps us make the best decisions, and helps us to feel confident and good about ourselves. So, now back to the questions I received after my presentation. One genteman asked what I had to say to families who were having difficulty taking away the keys to the car from Mom or Dad. I prefaced my answer with the statement that I realized how difficult that task is for families. I experienced it myself with my own father. But the answer is, to be compassionate but direct. Have that conversation. One can say ” Dad, I realize this is very difficult for you. I understand that you feel you are losing your independence and freedom. But that fact is that you have a condition that is impairing your ability to drive safely. We want to keep you safe and also want to make sure that others are not in danger should you have an accident. We will do all we can to assist you in this change ( Hire a driver for Dad, make yourself more available to transport Dad, etc) but this is something we simply must do.” A few years ago I advised a a family who simply could not bring themselves to have that conversation. Dad had been in several “fender benders” and the family was putting both Dad and others at great risk just because they were not brave enough to have the conversation. Again, my family experienced this as well. For many years we discussed with my mother the option of selling her large home and moving near my sister or me. My sister offered to build on to her house to accomodate mother. But she refused…and eventually, after a diagnosis of Parkinson’s Disease, two hip fractures and many stressful moments including one when the snow was deep, the power was off and the private caregiver we had hired could not get to Mother – my sister, brother and I , had to make the tough decision to move Mom from her home, but closer to one of us. I could not give this woman the answer she wanted. So I said, “Have you thought about the realities of what you may need someday in terms of assistance and support? Have you considered how you will arrange that care and support? “. She gave me a rather blank look and then said ” Well, no. We are fine now and simply want to stay here. This is our home.” I wanted to say “Well, let’s just wave that magic wand and make sure you never fall and break a hip, forget to eat, can no longer drive to your own doctor appointments or heaven forbid you leave the stove on!” I did suggest that she take the time to make sure all legal documents and financial information was prepared. I also suggested she begin to investigate long term care and home health care options, as well as local aging resources, so that she can pass that information along to her children and even iindicate her own preferences should those services be needed. She walked away looking less than satisfied. Instead, I suggested that she give it a trial run. I urged her to go to Wisconsin and take her Mom on an overnight nearby. See how she and Mom handle a short car ride and one night in a new place. Then reassess the situation. ” But that seems like a lot of trouble,” she said and walked away. Folks, it’s tough being a caregiver. It’s tough having to deal with role reversal. The person who used to be your rock, your strength, your guide and source of wisdom has changed. That person, due to illness or disease may not be capable of being that same source of wisdon, common sense, logic and adult reasoning. It hurts, it is scary and sometimes it is just sad. But someone has to be the adult here…and it may have to be you. 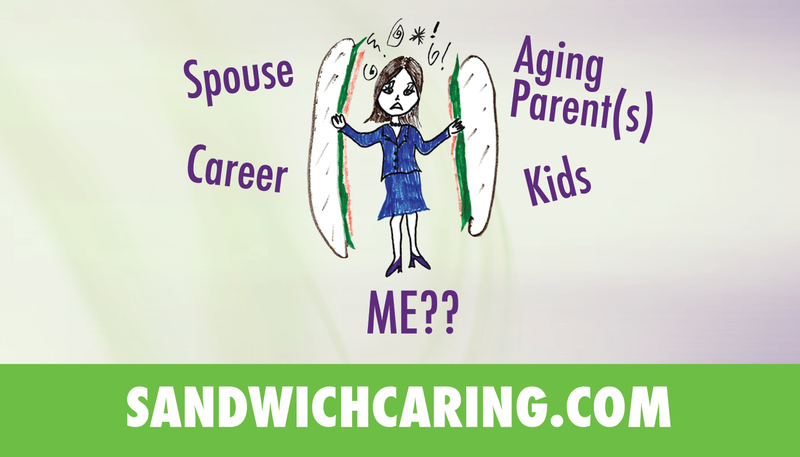 This entry was posted in caregiving, life challenges, parents, planning for the future, sandwichcaring, Uncategorized on May 20, 2014 by janestory.